 The Company established in 1895 by Daniel Swarovski has built its reputation on the values and the ethical principles of the founder: respect for the environment, caring for people and great adaptability to market evolutions, creating responsible product and taking into account future generations. A set of values and ethics which have helped building the reputation of a family whose name has become an unmistakable worldwide brand and the benchmark for craftsmanship and empowerment of creative expressions. Today, the company is run by the Executive Board of five fifth-generation family members. From left to right: Robert Buchbauer, Nadja Swarovski, Mathias Margreiter, Markus Langes-Swarovski and Daniel Cohen. 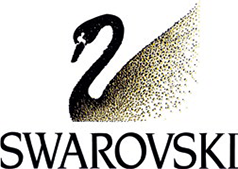 The Swarovski Group comprises Swarovski Crystal Business, Swarovski Optik, producer of precision optical instruments and Tyrolit, producer of grinding, sawing, drilling, & dressing tools. 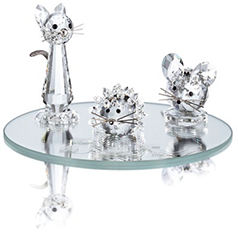 Swarovski designs, manufactures, and sells jewelry and high-quality crystal, genuine gemstones, created stones, and finished products such as accessories and lighting solutions. What started in 1895 as small crystal manufacturing business in Wattens, Austria, has grown to be a global company. 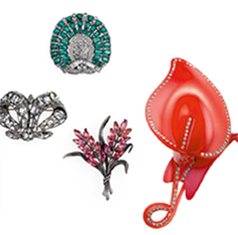 With a rich history and a culture of creativity, Swarovski is committed to growth and to maintaining its place at the forefront of design, creativity and technological innovation. 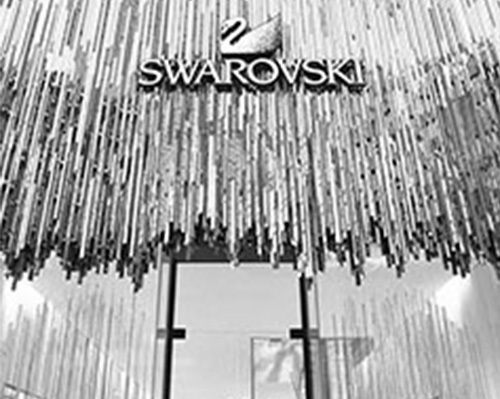 Swarovski’s products are sold in approximately 170 countries and production locations are in Austria, China, Czech Republic, India, Liechtenstein, Thailand, Vietnam, and the US. 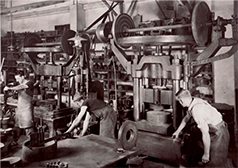 As one of the world's leading manufacturers of bonded grinding, cutting, sawing, drilling and dressing tools and a system supplier of tools and machines for the construction industry, the family-run Tyrolit company has been synonymous with superior quality, innovative spirit and outstanding service since 1919. Day in, day out the experts at Tyrolit are busy working on solutions that accommodate the individual requirements of customers around the world; thus contributing to their business success. 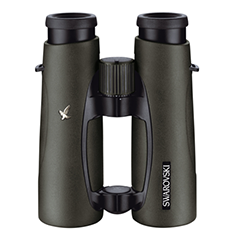 Swarovski Optik is a leading supplier of long-range binoculars, scopes and optic accessories for hunting, nature observation, travel and leisure. Swarovski Optik products combine maximum precision, state-of-the art technology and the highest quality standards to constantly improve and bring you the latest innovations in optic technology. The company was founded by Wilhelm Swarovski in 1949. 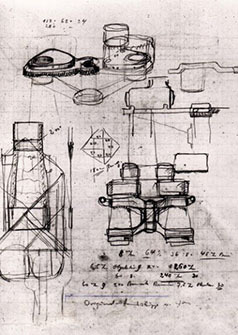 An avid astronomer, Wilhelm used the production and finishing technology used to manufacture Swarovski crystal jewelry stones to craft his own binoculars. Over a century ago, while electric light was just starting to circle the world, Swarovski was already capturing the natural magic of light. Inspired by the idea of making Crystal accessible to more people, Daniel Swarovski, a bohemian jeweler, patents an electric cutting machine that cuts crystal more precisely than by hand. 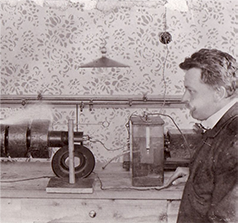 In 1895 he founds Swarovski in the small town of Wattens, high in the Austrian Alps, because the energy potential offered by the nearby rivers makes it the ideal destination for Swarovski’s production site. 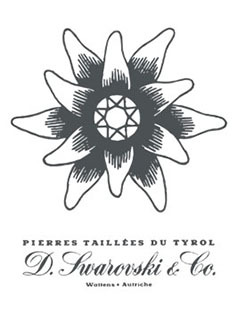 In Paris, Swarovski products became known as “Pierres Taillées du Tyrol “with the edelweiss – a noble flower which reflected the Austrian origin of the crystal, as well as the quality – representing the company in the first Swarovski logo. Continually innovating, Daniel Swarovski seized the chance to make his grinding and polishing tools available to the industrial community via a new brand called Tyrolit. Today Tyrolit is one of the world’s leading supplier of innovative precision engineering solutions. experience beauty once again. Whether as fashion jewelry or on dance outfits, Swarovski crystal was in demand as never before. The company was exporting its products all over the world. in Absam near Hall, Austria in 1949. Swarovski Optik is now firmly established as a market leader in precision optics. 1949 was also the year in which Swarovski’s first company newspaper was published. 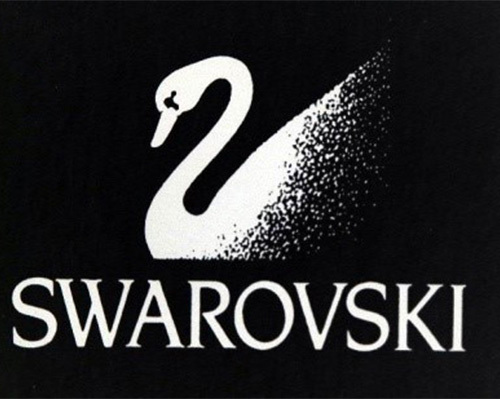 On January 23, 1956, company founder Daniel Swarovski died at the age of 93. He left behind a fully realized vision in the form of a thriving company based on values such as cooperation and pioneering spirit. The same year, Daniel Swarovski had added to his creative legacy with the introduction of the «Aurora Borealis» effect. 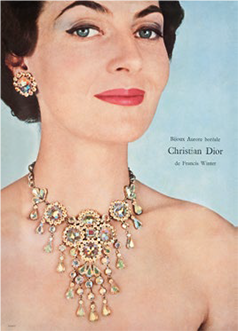 Christian Dior was the first designer to be enchanted by its captivating crystal colors. Swarovski begins to manufacture precision-cut gemstones, including sapphire, peridot, amethyst, marcasite and zirconia. their own brand identity: using the name «STRASS®-The Original» Swarovski refined lighting design with crystal components of incomparable brilliance and quality. The new finished pieces concept was called «Silver Crystal» and was showcased at the «International Spring Fair» in Birmingham, United Kingdom in 1978. In addition, the company had begun contemplating taking the next step of producing its own jewelry – an idea that would become a reality at the start of the 1980s in the form of the «Jeweler’s Collection». 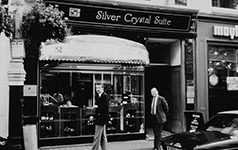 The first Swarovski shop called “Silver Crystal Suite” opens in London’s prestigious Old Bond Street, selling crystal figurines which are in such demand that a large turtle figurine is stolen in a burglary on the first day the store open. elegant animal as the edelweiss was replaced by the iconic swan. The swan logo is now recognized the world over. Swarovski opened Swarovski Kristallwelten (Swarovski Crystal Worlds) as a gift to all of its customers and fans. Multimedia artist André Heller designed the Giant’s realm, which features 16 subterranean Chambers of Wonder where world-renowned artists interpret crystal in diverse ways. Swarovski Crystal Worlds has since become a premier destination for visitors to Wattens who want to explore the enchanting world of crystal - and has already welcomed more than 12 million guests from all over the world. Building on Swarovski’s commitment to charitable giving, both with the community and in the wider realms of the environment, the Swarovski Foundation is created to support charitable projects under the three main pillars: fostering culture and creativity, promoting wellbeing and human rights and conserving natural resources.